Ex-combatants have accused their leaders of blocking them from occupying key positions in the ruling Zanu PF party. 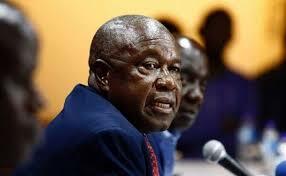 Zimbabwe National Liberation War Veterans’ Association (ZNLWVA) Mashonaland Central chairperson Sam Parirenyatwa has written to his leader Christopher Mutsvangwa saying the association’s secretary-general Victor Matemadanda is scuttling their political ambitions. “There is a systematic and deliberate marginalisation of ZNLWVA war veterans from the structures and the activities of the party seemingly yet evidently with support from very powerful members of the party. “All our efforts to join the structures of the party have been strongly resisted to the extent that as we speak, there is no single war veteran from the association who has managed to join the structures of the party in the province,” the letter reads. “This comes as a result of nullification of all concessions to fairly share leadership positions in the party we had made with the civilian component of the leadership in the province by senior leadership who seem to be determined to ensure that war veterans who championed the demise of former president (Robert) Mugabe’s dispensation are not included in the new structures of the party. Parirenyatwa said the move by Matemadanda angered war veterans. “I have been advising war veterans in the province, against their will and much to the erosion of my standing and authority, to back-off from their gains in line with the orders given to me by our SG. “This has not gone down well with war veterans who have sacrificed their lives and personal resources to bring about the new dispensation. According to Parirenyatwa’s letter, war veterans are afraid to speak out fearing the name-dropping of army generals to subdue them. “Often the name of the president and army generals are used with threats to subdue us to the extent that the association could not attend the last PCC meeting held on December 30, 2017 where the party was restructured, completely sidelining us from the structures of the party. “The new leadership in the province appears determined to forge ahead with party activities without our involvement. “Such a situation will result in fierce resistance from the war veteran fraternity as war veterans feel shortchanged. “Besides, there is a notable resurgence of the G40 cabal in some parts of the province with the cabal holding meetings in such places as Mt Darwin where such meetings are actually held at Saviour Kasukuwere’s homestead. Efforts to get comments from Mutsvangwa and Matemadanda were fruitless as their mobile phones went unanswered. However Mashonaland Central Zanu PF chairperson Kazembe Kazembe dismissed the allegations from the Mt Darwin meeting. “We had a lot of war veterans in the meeting. I’m not aware if some did not attend because I saw most of them at the venue. “When we did introductions, a lot of them stood up to be recognised. No one was barred from attending the meeting. “Those who constitute the PCC, according to the constitution, were free to attend. We had a full house.